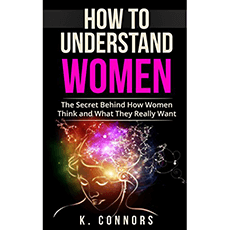 “How to Understand Women” by K. Connors offers advice to understand women when you cannot seem to figure them out. It aims to address communication skills with women, relationship building, and tips for a healthy relationship. Chapter Five: Why Do Women Like Bad Boys? Chapter Six: Why Is She Testing You? Is It a Game? Chapter Nine: How Do I Know If She Likes Me?